It is almost here... CARNIVAL! IT'S ALMOST HERE... AND WE ARE SO EXCITED! Join us for our annual Spring Carnival on Friday, April 27th! This is the biggest Day School family event and fundraiser of the year, and you don't want to miss it! Our Parent Advisory Board and Carnival Committee have planned a fun-filled evening of fellowship, food, and a wide variety of activities including face painting, petting zoo, music, games, a basket raffle, a silent auction, and MORE! Have you ordered your Day School Carnival passes and t-shirts? You can do so by clicking HERE (you can also purchase at the front office). This link will guide you to sponsorship opportunities, family passes, carnival basket raffle tickets, and t-shirts. A Family Pass is required for entry and includes up to 2 adult dinners and 2 child dinners. Funds raised from this event will purchase exciting new equipment for the playgrounds and classrooms. 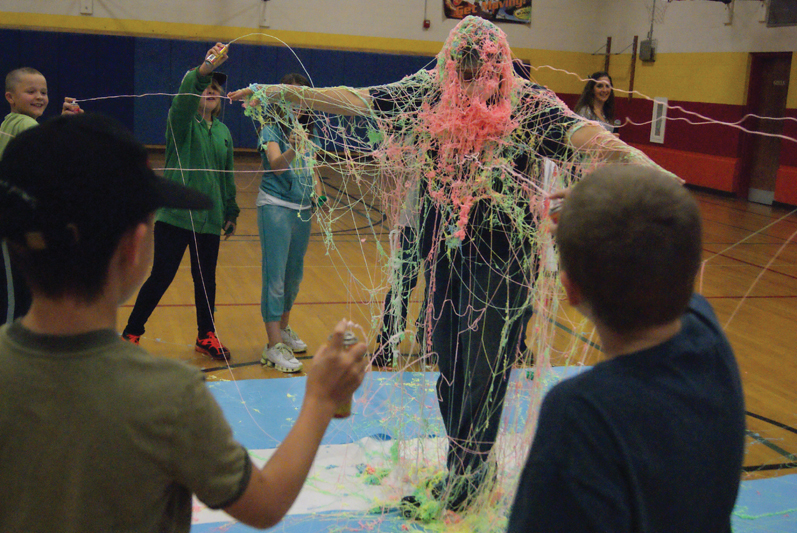 If we meet our fundraising goal of $25,000, the children and staff will get to SILLY STRING MS. AMY (that would be me)! I invite you to join in fun and fellowship with other families, classroom friends, and Day School teachers and staff. We hope to see you Friday, April 27th from 5-7pm!